The first thing everybody does after purchasing a hard disk, whether it is internal or external, is partitioning. Most people use the OS disc to format and partition the hard disk. But after sometime, you may need to create, format, convert, delete, or merge partitions and you require a disk management utility such as MiniTool Partition Wizard to perform basic as well as complex partition operations with the help of useful tools. Minitool Partition Wizard is a very popular free partition manager that supports 32/64-bit Windows 8, 7, Vista, XP, and 2000 operating systems. 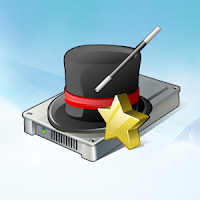 MiniTool Partition Wizard basically comes in two versions – Home and Professional. Some of the features of PRO versions are not present in Home edition such as disk converting, moving volume, merging partition, windows dynamic disk support, converting dynamic disk to basic without data loss, changing cluster size without data loss, etc. The other editions from MiniTool Partition Wizard are Server, Enterprise, and Technician. The home edition is free to download and use. You can use the required edition depending upon your experience and system configuration. The latest version 8.0 had added support to convert NTFS to FAT, MNR to GPT Disk, GPT to MBR Disk, and copying dynamic disk volume. The user interface is intuitive and clean. To use this partition manager, you require x86 or compatible CPU with main frequency 500MHz and 256MB or above RAM memory. Convert NTFS to FAT, MBR Disk to GPT Disk, and GPT to MBR Disk. CREATE, FORMAT, SPLIT, EXTEND, CONVERT, EXPLORE, RESIZE/MOVE, and ALIGN Partition. Restore Partition after accidental deletion using ‘Partition Recovery’ feature. Hot extending NTFS Partition without reboot and much more. 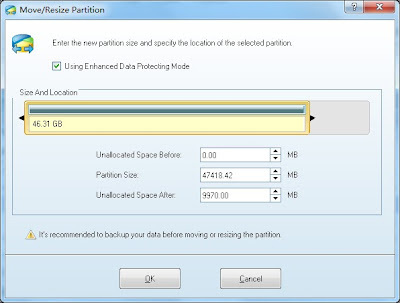 MiniTool Partition Wizard 8.0 has a user-friendly interface with all the necessary partition options below the menu bar, like Move/Resize, Merge, Format, Copy, etc. On the left, it has the required actions and wizards (operations). When a local disk is selected, the program shows complete information regarding the partition such as type, capacity, free space, used space, file system, and status (Hidden, Active & Boost, System or None). With the help of the menu bar, you can perform advanced operations and access all the wizards. 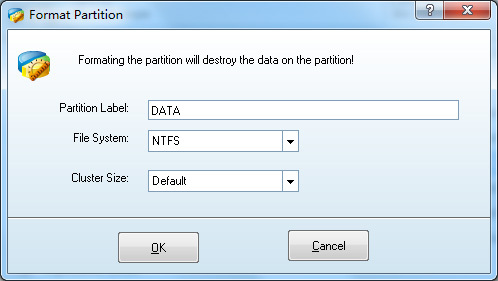 In Format Partition Wizard, you are allowed to enter a partition label, cluster size, and file system (FAT32, NTFS, Ext2, Ext3 and Ext4). The application supports RAID, single disks or partitions larger than 2 TB, and supports up to 32 hard disks within one system. 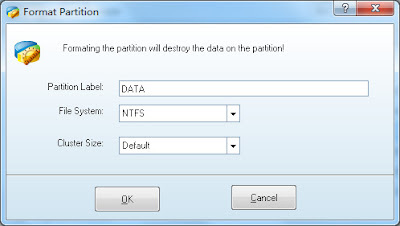 You can set the partition as primary or logical, rebuild MBR, test disk surface & partition surface, change partition serial number and type ID. A very useful feature from MiniTool Partition Wizard 8.0 is visually demonstrating your disk/partition configuration to preview changes before applying. It takes very less system resources and does not crash or freeze during our tests. Overall, Minitool Partition Wizard Home and Professional Edition 8.0 includes a step-by-step guide and basic information on how to perform partitioning, giving the user an advantage to save their time and work. 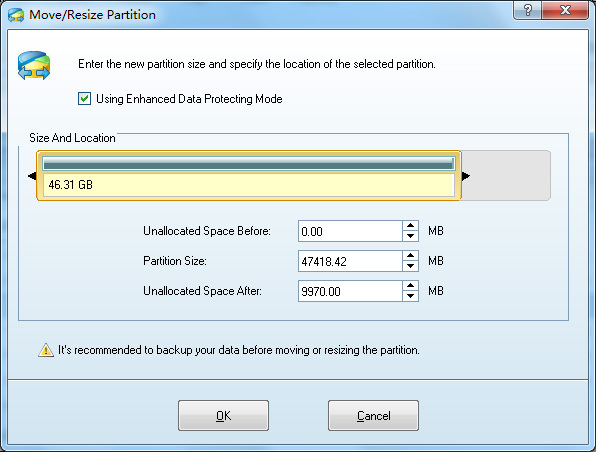 Even, inexperienced users will also able to manage their partition easily. You can download MiniTool Partition Wizard Home Edition 8.0 for free whereas, the professional version can be purchased for $39.00.